I received this parcel with 15 dresses in early January from Vanessa Lane of the Faith Lutheran College, Qld. 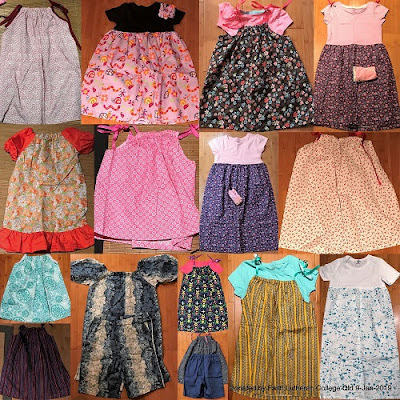 These dresses were sewn as a project of her Sewing class students. Two of the dresses will be included in the Dress Distribution next month and the rest will be put on hold until a distribution for small dresses can be scheduled. Thank you to Vanessa Lane for inspiring her students to make a difference by sewing dresses for the underprivileged children. Much appreciated.